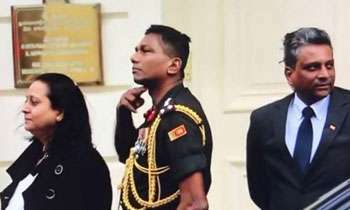 The Sri Lanka Army said today that neither the Army nor Brigadier Priyanka Fernando had been informed with regard to any court case filed against the Brigadier in Britain. News reports said the Westminster Magistrate's Court has issued an arrest warrant on Brigadier Fernando for allegedly violating the British Public Order Act. 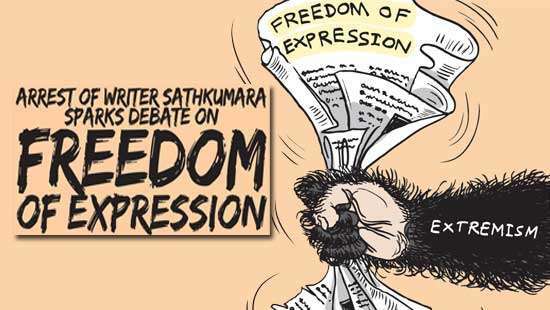 The case has been filed against the Brigadier, who was the then Defence Attache in the Sri Lankan High Commission in London, for allegedly making a threatening gesture at a group of pro-LTTE protesters outside the High Commission on February 4 last year. When contacted, Army Spokesperson Sumith Atapattu said they contacted the Sri Lankan High Commission in London over the incident after seeing media reports. “The High Commission said a case had been filed against the Brigadier but the diplomatic channel has not been informed about the case so far. 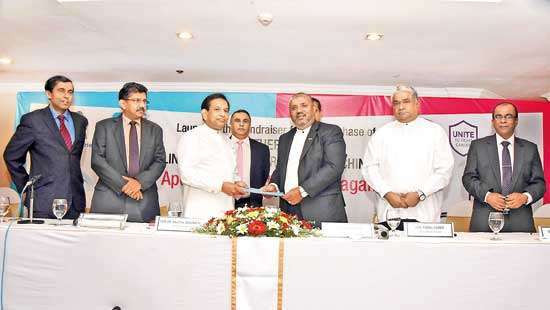 If and when we are informed officially, we are ready to formulate our course of action in response, through the Foreign Affairs Ministry after having discussions with Ministry officials,” Brigadier Atapattu told Daily Mirror. I bet the diplomatic immunity will cover him. You are right, we all Sinhalese, Tamils and Muslims, we are lost as a nation and we are failing as human beings too. shame is for UK for protecting terrorist for votes. proud as a srilankan -brig.Priyanka take a bow! I am living in London for decades,what theSri Lankans think great about the British is completely wrong. The fault lies with the Christians in Sri Lanka who are perpetuating the British myth. British are bringing this prosecution to win the Tamil votes at the next election. Blame the the Christians and the British and live in Britain. Under NO Circumstances SL should wave the Diplomatic Immunity !!! There's absolutely NO CASE against the Officer!!! Period !!! 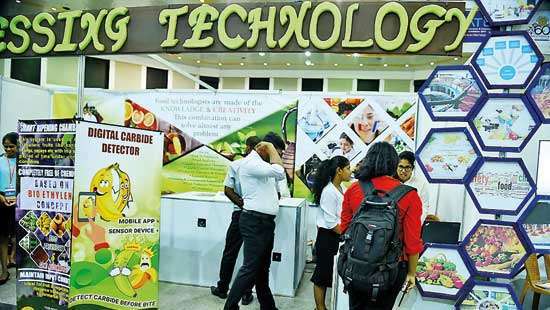 SL Government took appropriate measures by recalling the said officer!! And the whole episode ENDS there!!! you are correct add to this, he showed this for the ltte terrorists and not for the peaceful Tamil Volk, so i too see no wrong doing, sri lankan army is to do their duty to protect our land against any terrorists. . The issue here is not that Brig. Priyanka failed us. Those fools in our foreign service and government failed him. What he did was not a serious civil issue. But we allowed other to make an issue out of it by bowing our heads to LTTE diaspora sympathizers. This is the sad fact. "Mountain out of a Molehill"??? Huh !!! Brits got bigger worries like, Leave or NOT to Leave EU !???? He shouldn't have done it. I'm not taking the side of LTTE terrorists (note i said terrorists and not tamils, as there is a huge difference) but there is a difference between diplomats and regular people. Whoever is assigned to diplomatic missions overseas must be properly trained. That is why other countries assign people qualified in law/politics for these posts. sigh! my poor poor motherland. Remember, he's a SOLDIER first, before becoming a diplomat !! Cut throats in abundance apart from the circumstantial gesture of the Brigadier. This magistrate and law implementation agencies in UK are bonkers. They are victimising a national hero of Sri Lanka, whereas they are mollycoffling the woman Adel;e Balasingham that were advocating youung human bomber terrorists to kill and maim Sinhala and Muslim people with their bombs and also giving away cyanide capsules for them to commit suicide if captured. These are poltical manipulations by British politicians through courts to win over tamil votes in their marginals and nothing to do with Human Rights Law should apply equal to everybody and this case was based against political expediency and manipulation..
Awaiting for our hero Wimals comments. Public order and unwanted exhibition of fingers. Yes minor no harm to anyone but action still not dignified to the dignity of the embassy it's country and people. True, these foreign LTTEers and their sympathizers can cause a lot of trouble, especially if you are Sinhalese (I know this personally) but the gesture made by the Brigadier was very unprofessional. He caused an unnecessary headache to the GoSL. The plot of land which SL emabsy in UK as per the law considered to be owned by SL. Bgd Priyankara in this case was legally in SL soil which he cannot be prosecuted for violating British public order Act.